This summer, Michael Bay's “Transformers: Age of Extinction” picks up right where the third installment left off. But its new stars, both human and non, help take the story in a new direction. According to Kdramastars.com, in this installment the US government is on a mission to build its own Transformers in defense of another alien attack. Their research leads to the creation of Nemesis Prime, the evil-twin-version of Optimus Prime. In addition to the government-spawned villain, there will also be a possible threat from space: Unicron. Like any other Michael Bay project, there is serious celebrity power in the fourth "Transformers." But the real story is in the vehicles/robots, as Bay holds true to featuring actual cars and trucks in the films, and some awesome ones at that. After a short introduction on the movie's potential to be a long car commercial, Filmschoolrejects.com lists some of the top auto-stars. From über-expensive sports cars to custom-built freighter trucks and military-grade vehicles, the new "Transformers" has its wheels spinning on all levels. 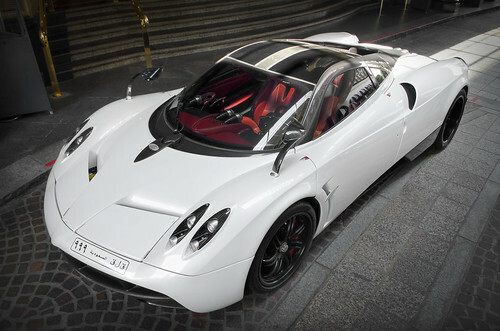 The most expensive of the ridiculously priced vehicle stars of "Transformers" is the Pagani Huayra, which doesn't even have a price listed on Car and Driver’s website — a telltale sign that the number is obscenely high and the car can only be described as made for those not interested in just an 'average' Lamborghini, Ferrari or Bugatti.3 The Huayra is made in limited production, so if you want to catch a glimpse, hit the theater. But don't worry, you'll still get a look at a 2013 Lamborghini Aventador LP and a Bugatti Grand Sport Vitesse, valued at a whopping $2.4 million. Topspeed.com dove into the partnership between Chevrolet and the "Transformers" franchise, saying that Chevy's product integration on the silver screen is an example of "good product placement [by] writing the brands into the plot of the movie from before day one." 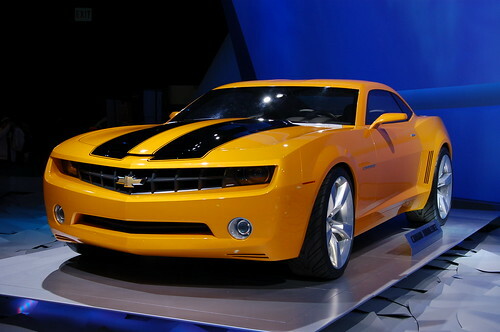 Chevy is able to showcase some of its most sought-after models like the 2014 Chevy Camaro Bumblebee and the C7 Corvette Stingray. What's better? You can see, drive and even purchase some of the robot stars at a local Chevrolet dealer. Another manufacturer involved in providing "cast members" is Daimler Trucks North America. Unfortunately, these are the vehicles you can't test drive. Western Star, a division of Daimler, is behind the construction of Optimus Prime, the leader of the Autobots. Additionally, Daimler’s subsidiary FREIGHTLINER is behind the featured 2013 Argosy, which, judging by its dark paint scheme and blue LED lighting, will likely play a Decepticon. Oshkosh Defense has contributed its Medium Tactical Vehicle, the Hound for the film. 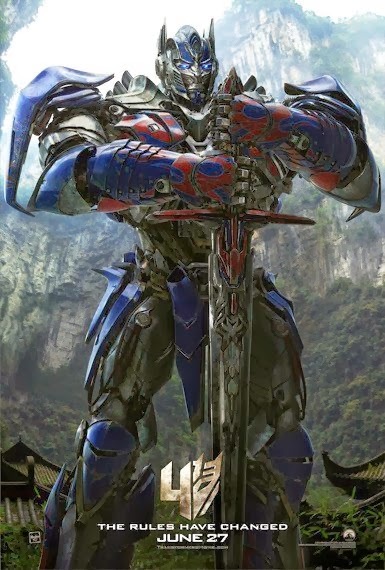 If you like awesome vehicles, fantastic effects, and stars like Mark Wahlberg, Stanley Tucci, and Kelsey Grammer, “Transformers: Age of Extinction” is sure to have you on the edge of your seat this summer.